Editor’s Note: The graphic at left is an artist’s rendition of what a Trustee might have looked like in the 1990’s. We have a convenient single PDF formatted file with available in 2002, courtesy of the Australian Regional PI Committee. A note on PDF formatted files: You will be required to have the Abobe Acrobat Reader program to view the files in the PDF format. The program is free to download and simple to install. You can download the Adobe Acrobat Reader for free, directly from the Adobe site. There is no charge for this program as it is provided as a courtesy by Adobe. We do not endorse or support Adobe or any other products and have no affiliation with them or any other entity. Please be sure to read their policies concerning the downloading of their software before using their products. To download a file to save, we suggest you right-click on the desired file format and choose “Save Target As…” or “Save..” depending on the type of browser you are using. The following essay was written in 1991 and revised in 1996 and 2002 in response to the issues at that time. Direct group contributions were first accepted as part of A Guide to Local Services in Narcotics Anonymous, which was adopted in 1997 and further supported in the IP #25 Self Support: Principle and Practice, adopted in 1998. “Cooperation, not affiliation.” What does this oft-repeated phrase mean with regard to NA’s relationship to Alcoholics Anonymous? What is our relationship to AA? And what about “AA bashing”? Bulletin #13, November 1985. 3 pages. This bulletin was revised during the 1995-1996 conference year. As individuals, we have tremendous respect for these other fellowships and support the need for them. We must remember, however, that NA, NarAnon, and Families Anonymous are separate fellowships, each with its own purpose. Bulletin #14, August 1987. 2 pages. NL IV.6. How to use open meetings to carry the message to the community, while maintaining meetings closed to non-addicts that provide a safe haven for NA members. Bulletin #15, originally issued August 1987. 2 pages. The NA Way Magazine. December 1987. This bulletin was revised during the 1995-1996 conference year. When we say addiction in NA, do we mean drug addiction? Is addiction a disease? These questions and others are addressed in Bulletin #17, 1988-89. 2 pages. This bulletin was revised during the 1995-1996 conference year. A report from the WSC Ad Hoc Committee on Special Interest Meetings “concluded that special interest meetings must be appropriate in some NA communities since they exist and flourish with little controversy in these communities. In NA communities where special interest meetings do not exist, and where the need for them is not apparent. there is no reason to create them. Groups, therefore, exercising their autonomy are best suited to decide whether there is a necessity to have special interest meetings.” Bulletin #18, April, 1989. 3 pages. This bulletin was revised during the 1995-1996 conference year. A preliminary examination of these issues. Bulletin #19, February 1992. 1 page. This bulletin is a February 1992 response to a motion committed to the World Service Board of Trustees by the World Service Conference. It reflects the views of the board at the time of writing. When we depend on fundraising activity instead of voluntary donations from our members, we create a number of problems for ourselves. Bulletin #21, December, 1991. 3 pages. This article was generated in December 1991 and revised in 2002 in response to the needs of the fellowship. It represents the views at the time of its writing (2002). Link is to the PDF file on na.org. Two articles examine prejudice in NA, becoming aware of it, and doing something about it. Bulletin #20, 1991, 1992. 2 pages. 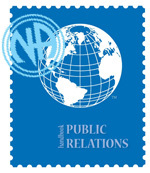 Thought-provoking essay on the practical and spiritual importance of our public relations and what NA’s Traditions say about our Fellowship’s PI efforts. Bulletin #25, October, 1990. 4 pages. More on addressing HIV infection. Bulletin #27, April, 1993. 2 pages. How is NA service affected by methadone maintenance and other drug replacement therapies? Membership, group autonomy and service are examined in this article. Bulletin #29, June, 1996. 2 pages. Responsible management, safeguarding of funds, and selection of trusted servants are noted as ways to minimize misappropriation of NA funds. Methods to inventory and resolve theft issues are also addressed. Bulletin #30, June, 1996. 3 pages.